Vanillacraft | Minecraft Vanilla Server • View topic - Xryro® Co. Is Hiring! Last edited by 128keaton on Fri Mar 28, 2014 8:15 pm, edited 9 times in total. 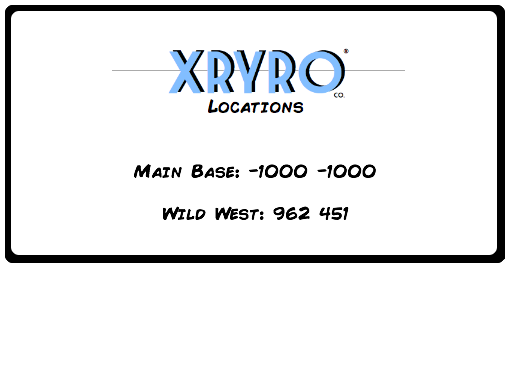 Re: Xryro® Co. Is Hiring! 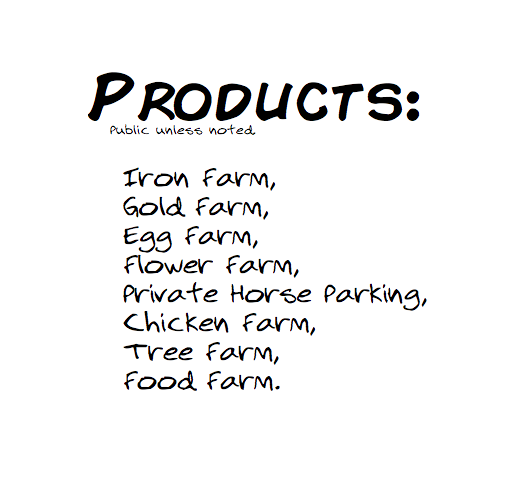 It looks like Comic Sans but it's not... I don't know whether to cringe or applaud. Best of luck mate, might I suggest your inaugural project be that Wild West town? This looks fantastic, and I LOVE MD's approach. You can christen the Wild West! We really need tumbleweeds in game I guess you can silk some dead bushes. Looking forward to seeing if you carry through with this project. MadDogT994 wrote: It looks like Comic Sans but it's not... I don't know whether to cringe or applaud. Well, we've been around for a bit, I just decided to remake post. If you see the locations, the "Wild West" town is listed . I've decided to do a fallout style forum post XD. I love the Fallout series, it's retro even though it takes place in the 2050s+. MadDogT994 wrote: I love the Fallout series, it's retro even though it takes place in the 2050s+. Precisely! Soon, I'll post the theme song, which should be in the Fallout series! You may want to make the image for the theme song a clickable link or include the URL below it. I think you can do so using the URL tags. Check with a google search to see how it's done. If I may ask since I don't think I've read anything about it but how does X R Y R O become pronounced with a C sound? Why not just call it Cryro? MadDogT994 wrote: You may want to make the image for the theme song a clickable link or include the URL below it. I think you can do so using the URL tags. Check with a google search to see how it's done. It originally was, but I misspelled it and went with it. Man! I have gotten a lot of flac from this. Kinda funny. Made the image clickable. Not hard . I made this before you posted that you wanted the Fallout theme. And I thought the X was a Christian thing. When I used to be part of Disciples of Christ, there was a youth group called Chi Rho, and the Chi is an X. Honestly, fantastic job on everything with this clan. I don't hand out compliments very often, but I love the name, logo, and uniqueness of the description. On top of that, your clan song sounds really retro and awesome too. If I was still into minecraft, I wouldn't hesitate to join. Vacar wrote: Honestly, fantastic job on everything with this clan. I don't hand out compliments very often, but I love the name, logo, and uniqueness of the description. On top of that, your clan song sounds really retro and awesome too. If I was still into minecraft, I wouldn't hesitate to join. Cool! Thank you so much! Hope you get out of the Minecraft-less rut. I've been there! Go to /r/minecraft for some curing options ! Well, that was what I was thinking, just didn't know how friendly people were to religion. Tolerance is a touchy subject. I am by no means ashamed, just not wanting to offend people. Damn Keaton. You know how to set up a clan page. And that theme song! I feel like I'm getting ready to go into the vault. Btw, you must make it your priority to re-create vault 101 on VC! It must! Also I'll be highly disappointed if you do not change your skin to that of three dog and begin giving out grandiose statements on the VC TeamSpeak, often abusing or praising the escapades of whatever player. Look forward to you guys' projects. kmandyisaboss wrote: Damn Keaton. You know how to set up a clan page. And that theme song! I feel like I'm getting ready to go into the vault. Prepare to be disappointed. I haven't played the game. Just fallen in love with the trailers and videos of the game. Sad, right? I also drive a 1953 Chevrolet, so I just love the retrotacular design. If you refresh my cig enough, you can see the hood of my car . I'll build the vault tho. A new player, Dsi0 was on a bit ago, and I told her to apply to your clan. I hope you may have a new member. BirdBrainf4 wrote: I guess you can silk some dead bushes. Silk isn't necessary. Normal Shears will do just fine. 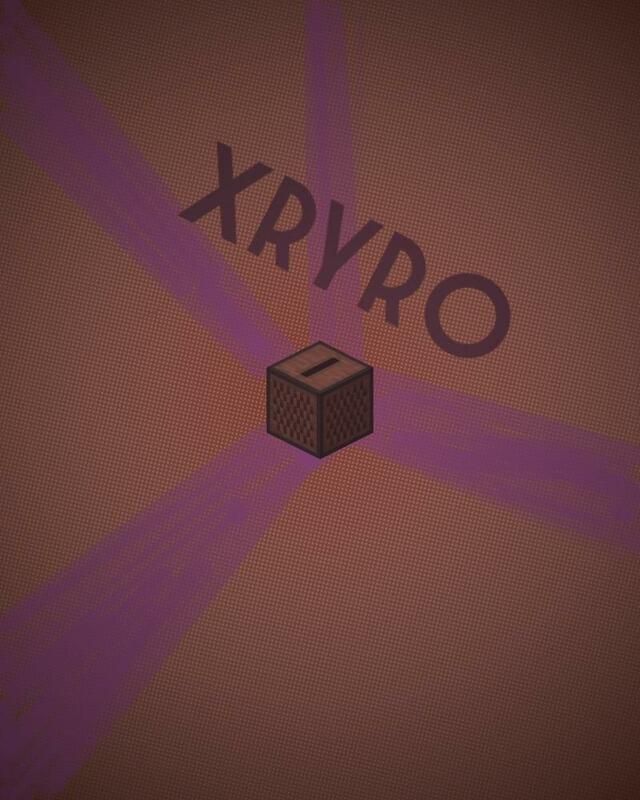 And I was at Xryro proper last night whilst exploring and stuff... and I do have to say that things are looking nice. Yeah I know, it was just my terminology. Ooh. Sorry about being inactive for a while, life has been busy (school tests, writing a new iPhone app, and some other random bits).